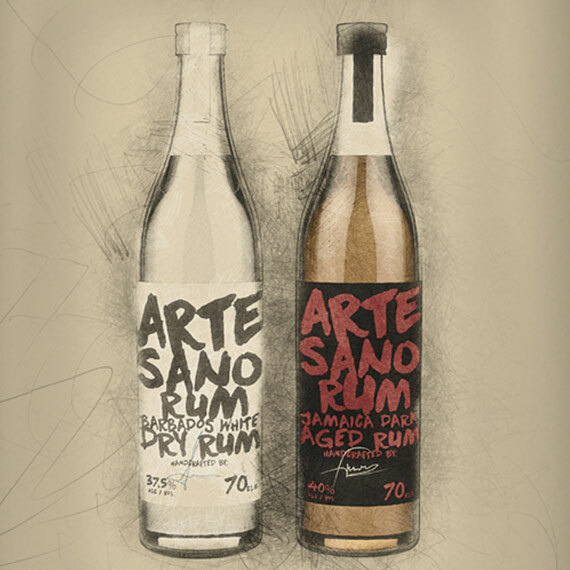 Combine ARTESANO White Dry Rum, lime juice, and simple syrup in a measuring glass; cover and chill. Divide mixture among 4 Collins glasses. Fill 1 glass with crushed ice and push a swizzle stick or bar spoon just below surface of the ice. Rapidly roll stick between your palms, working your way down and pulling up occasionally to blend cocktail, until chilled, about 10 seconds. Top off with more ice, doming above rim; finish with a dash of bitters, nutmeg, and a sprig of mint. Repeat with remaining drinks.